That battle cry led me to try IVF (actually when I was 39), and I was blessed to have a son. It led me to get back into performing, and I was able to use my voice again in a way that brought me much joy, and meet many creative people who are good friends today. And it led me to open my own psychology practice in my new home of Fayetteville, Arkansas, an opportunity that has given me a sense of purpose, and where I have learned so much from so many. Around 50, that mantra began to morph into something more. Slowly, over the decade, it became about giving back, but in a new way. And the fascinating thing to me is that, in taking the risk to begin putting my thoughts and experiences as a psychologist out on the Internet, I have received much more. It has given me access to and experiences with people, like you, who are reaching out, reading, learning, trying to help themselves and others. FiftyPlusFabulous is one of those experiences. 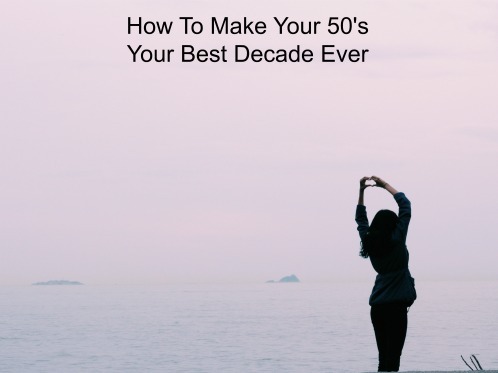 Fourteen other midlife women and I are offering what we have learned about being 50, in free downloadable interviews. We were interviewed by author and columnist Diane Sylvester, who is facing her own 50’s with a bit of trepidation. I was so incredibly honored to be a part of this group, and think you’ll enjoy hearing what is shared. I know I plan to listen to what everyone else had to say. You can choose who or how many of us you want to listen to, and again, I wouldn’t be involved if it wasn’t on the up and up. 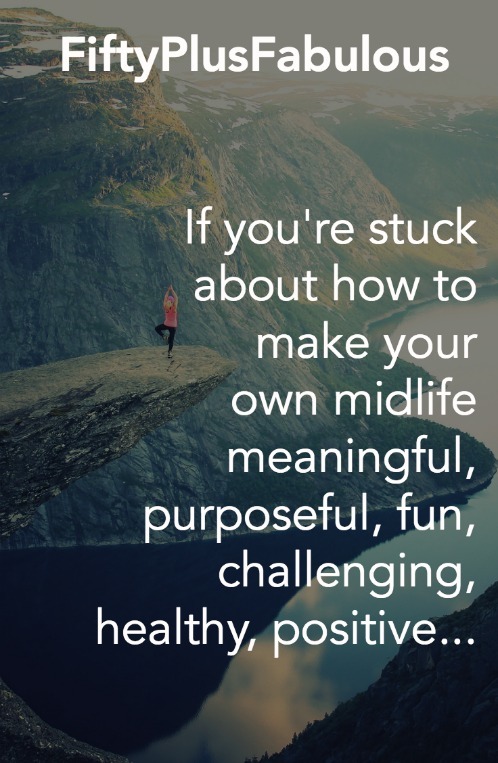 If you’re stuck about how to make your own midlife meaningful, purposeful, fun, challenging, healthy, positive — whatever adjective you want to use — this is available to help you. FiftyPlusFabulous is what the series is called. I hope you’ll let me know what you think! And, please… feel free to borrow my mantra. SUBSCRIBE and get my posts in your email weekly! You’ll also receive my free eBook, Seven Commandments of Good Therapy, a guide to evaluate a new or current therapist. Thanks for reading and sharing!